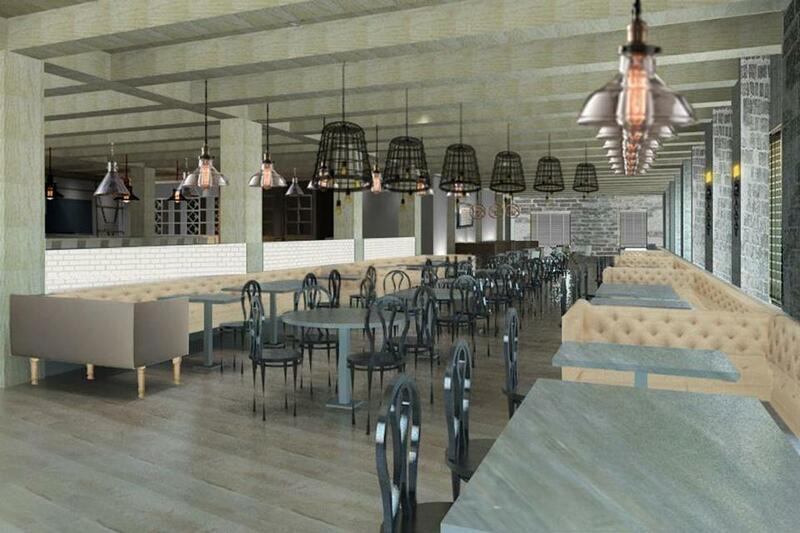 Bastille Kitchen will seat more than 300 diners. It is slated to open in early April. Former night club impresario turned restaurant and hotel developer Seth Greenberg was thinking big when he cooked up his latest Boston project. His new Bastille Kitchen covers 11,000 square feet, spread across two floors of an old textile factory. Greenberg and his partners have poured $4 million into the massive space at Fort Point, a popular area for new upscale restaurants. 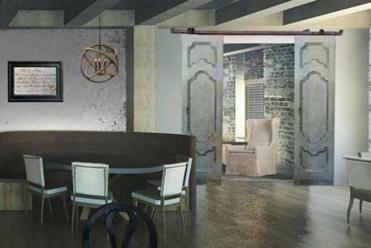 The restaurant, which he calls a French bistro, will seat more than 300 when it opens early next month, offering an expansive dining room, a bar, a lounge, and a private dining room. “I want to appeal to a broad range of guests,” Greenberg said. Greenberg, 52, tapped Adam Kube, formerly executive sous chef at The Ritz-Carlton at Boston Common and one of Zagat’s top 30 chefs under 30, to lead the kitchen. Bastille Kitchen restaurant, opening soon at 49 Melcher St., is housed in a former textile factory. Kube’s menu includes dishes such as prosciutto-wrapped Georges Bank cod seared and served with roasted broccoli rabe, heirloom bean ragout, grape tomato confit, and whole grain mustard beurre blanc and Atlantic salmon cured in citrus and ginger, served with smoked trout, crème fraiche, domestic caviar, fried capers, hard-boiled egg, and pickled radish. Appetizers rangefrom $11 to $18, with entrees from $18 to $42. Bastille Kitchen marks yet another business venture in the city where Greenberg first carved a niche for himself in the hospitality industry. He became a successful party promoter during his freshmen year at Boston University. He became a partner in his first nightclub, the Paradise, at 22 and later opened the after-hours hot spot M-80. By age 30, he had owned 10 nightclubs in Boston, Miami, New York, Worcester, and on Cape Cod. Greenberg became a restaurateur in 1997 when he opened Mistral and entered the hotel business to help develop the XV Beacon Hotel two years later. He went on to create private event spaces in New York and a restaurant in Miami before returning to Boston to help develop the Ames Hotel in 2009. Greenberg said he has been eyeing the Fort Point neighborhood because it reminds him of New York’s booming Meatpacking District. He said he hopes the restaurant attracts the young tech crowd working in the Seaport District.